This blog is updated time-by-time with the increasing amount of input we receive until the next (and final) prototype is definitive. In the previous prototype v0.3 blog, we’ve covered 4 points of attention. You’ve shared your opinion on each of these points and we’re going to address them in this blog. If you’ve missed out, it’s never too late to give your input. We consider that one person’s feedback is not equal to the majority but one person’s opinion is equal to any of us. In other words, we take your opinion into serious consideration. At a certain point, all these opinions start to contradict each other but usually there’s a pattern and it helps us find things we’ve missed. So don’t hesitate, just throw it out there and let us know. Let’s start with a summary of the feedback we’ve received from you until so far. Sandblasted aluminum top plate is preferred over brushed because it’s less fingerprint sensitive and has more style. It’s possible to overhaul the bottom case to exactly fit the keys then use the top plate to play around with the shape of the keyboard. The side profile, specifically the indents, adds more character to the keyboard but you can try to lengthen the profile over its entire side. Keycaps, just avoid any Gamer fonts because they look ridiculous. You can also place all the function keys together. If you’re asking yourself, hey wait shouldn’t you already be making the prototype by now? Then rest assured, it exists out of different components that aren’t made simultaneously. The the new inside (PCB) will finish in the next days, the casing is already in the pipeline to be made and the top-plate is awaiting the anodize finish. Today it’s about the stock keycaps that come with the keyboard. To clarify, these are standard ABS keycaps with transparent legends for backlighting. We’ve finished the legends. We tried all kind of things with the legends but in the end we decided that the stock keycaps should stay as neutral as possible. S we refined the legends we already had and, thanks to a feedback email, improved the smart function layer. As you can see, the font we used for the legends is very neutral and we opted for symbol modifier keys instead of textual modifiers because it looks cleaner with the overall design. We’ve aligned the legends in a top position to accommodate the backlit. Furthermore, we’ve made the smart function layer even smarter. 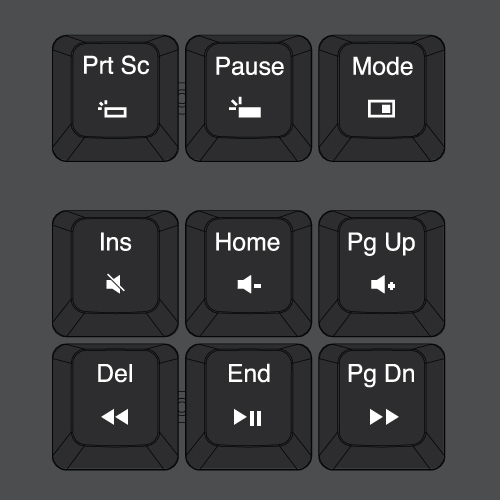 We decided to remove the mute mic key because it wasn’t reliable enough and moved all the media keys into one cluster, while moving the backlit controls and special FN toggle key to the top right row of keys. Yesterday we just finished a meeting about the new prototype, and it’s coming guys. We still have a chance to adjust some minor details on the design but the internals is set, we’ll probably receive it in 2 1/2 weeks. This prototype has delayed our initial launch date, something we’re always wary of and therefore don’t like to set dates too early. Anyway! 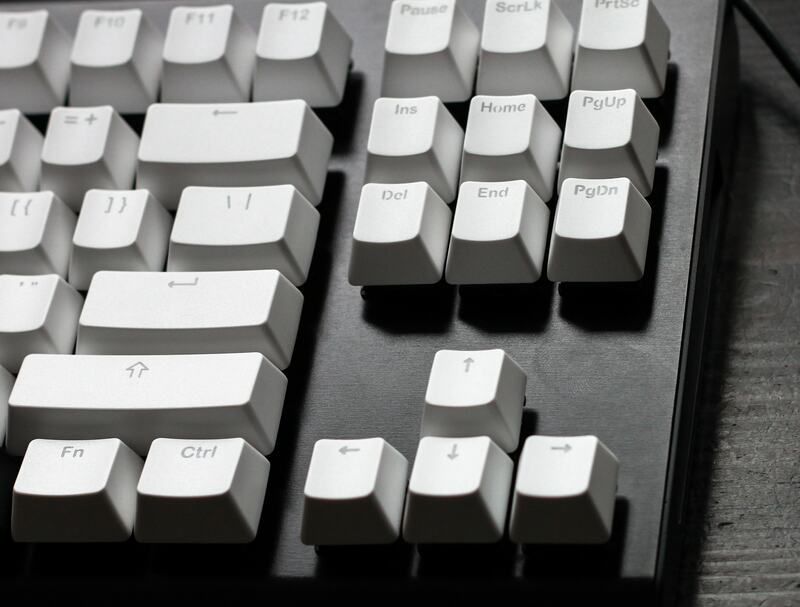 We’ve been receiving requests for a PBT keycaps option since the beginning of our keyboard. NOTE: I strongly recommend you to educate yourself on keycaps for this part, I’ve written a blog about the different type of keycaps.). 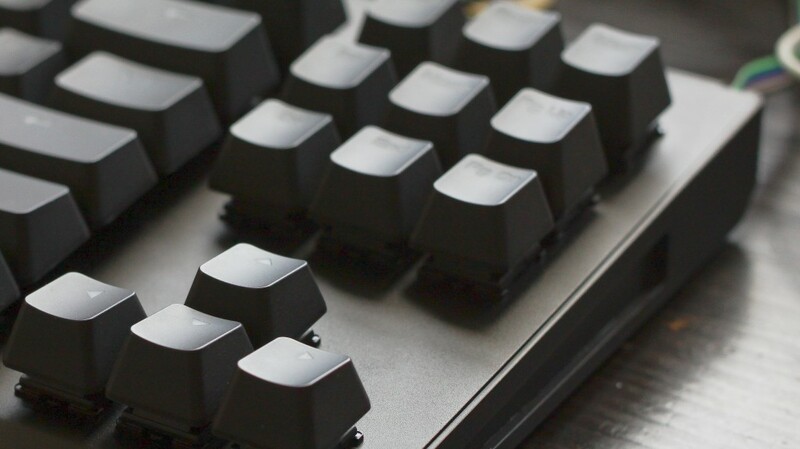 In our opinion, PBT keycaps are definitely a step up from ABS but once you start talking double-shot keycaps then ABS can be a real winner. It all depends on personal preference and sound that the keycaps produce. We had already decided that we can’t offer the stock keyboard with PBT keycaps because that would complicate so many things at the moment including different languages and cost. 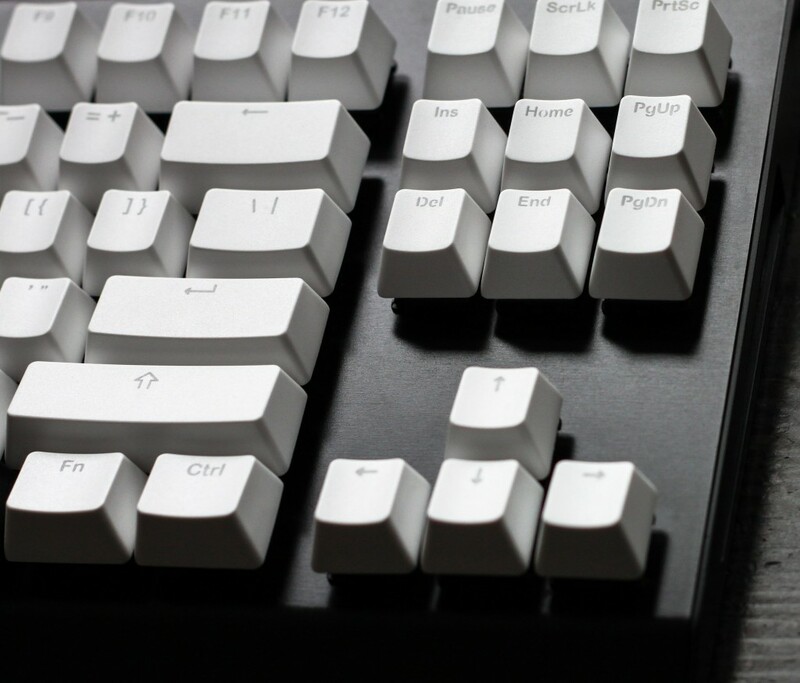 Instead, we decided to make PBT keycaps (highly recommended) optional feature with the Wooting one keyboard. So, I went to pay Tai-Hao (an establish keycap manufacturer in Taiwan) a visit last Friday; to see if they wanted to cooperate with us and I can say the meeting was promising but not conclusive enough yet. There are some details that still need to be figured out such as they only offer double-shot keycaps without backlit and they don’t use laser or dye sublimations. The latter is really useful for different languages because you can just “(laser) print” the desired language on the blank keycaps opposed from performing a second (costly) mold injection. In either case, let’s take a look in the candy store and you can share your opinion. All the keycaps use a very pleasing font/legends but are only limited to the international English language layout in either ANSI or ISO. Furthermore, none of the keycaps are “backlit”, meaning that the LED light doesn’t shine through the legends making it harder to see in the dark. I have to apologize in advance that the pictures aren’t quite great because the lighting was terrible and I was in a hurry. You can also find a bunch of Tai-Hao keycaps on their (new) website if you want to take a closer look. We’re considering the following keycaps sets as options. If you’re slightly into the mechanical keyboard world, then you’ll recognize this first keycap set. Double-shot PBT keycaps. A more recent addition of keycaps but nevertheless, very cool and unique double-shot PBT theme set. The picture doesn’t do it justice, but in reality the blacks are much darker. The legends are true black but the keycaps, a grade lighter black. As a result, the legends are nearly invisible to the naked eye. Available in either double-shot ABS or PBT keycaps. There were literally many more options to choose from but none of them as striking as the above. What option keycap set do you prefer, A, B, or C? Or is there an other keycap set you really love? 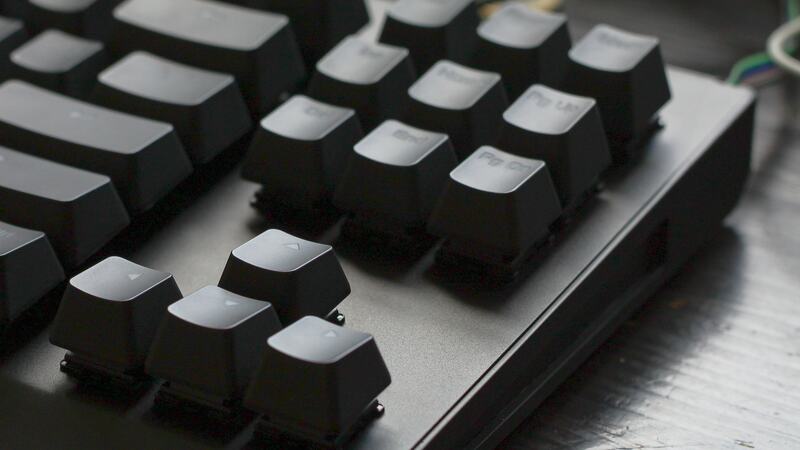 We’re continueing the search for PBT keycaps, you’re welcome to pitch in your picks. 1 – Fingerprints are unavoidable and will always be present. It depends on the amount of light that the material reflects when you are able to see it. A brushed finish reflects more light than a sandblasted finish, so a fingerprint is much easier detected on a brushed finish. You can test this with your smart phone, when it’s not under direct light exposure you don’t see your fingerprint but when placed underneath a light, it’s swarming with them. 2 – You can easily clean fingerprints and other fatty remains on the aluminum plate by peeing on it. Waaaait! We didn’t actually try that but apparently the ammonia in urine makes for a great cleaning product. Let’s take a closer look with some real tests done in our secret laboratory by Erik. First a picture without a fingerprint, then a picture with. FIY: Totally ignore the keycaps you see there, we’re just been playing around with different keycaps. The following pictures will contain white with translucent double-shot ABS with an ugly “gamer” font. You’re able to see the beautiful thumbprint Erik made on the brushed finish. He hadn’t eaten anything or dipped it in any grease, so its effect is minimal, to say the least. But it’s clearly present. Same as before, first a picture without a fingerprint followed by one with a fingerprint. MYTH BUSTED. Oke, it wasn’t a myth nor did we bust anything but I just really wanted to say it. You can see or well not see any fingerprint on the sandblasted surface. Neat. If you’ve read the prototype blog, you also know that there are different levels of sandblasted. You can literally use different sizes of sand grains to “blast” the surface. It’s an aesthetic thing, that we’ll follow-up on but If you’re familiar with the subject, you’re more than welcome to jump in. To be continued with more tests in this Updated blog…. In the meanwhile don’t miss your chance to share your opinion on how we can improve our final prototype. I like the idea of the sandblasted aluminum to plate! Way to go! If I am to say, you have a fantastically well designed piece of hardware here at present. All that is left is to merely add the finishing touches. -Sandblasted aluminum top plate is preferred over brushed because it’s less fingerprint sensitive and has more style. I am in agreement with this statement at the moment. Whilst brushed can look aesthetic in certain environments the majority of desk/bench spaces will have a more ‘consumer’ feel to them making the brushed aluminium look awkward depending on the environment. A nice sandblasted finish will better compliment the majority of desk spaces. You could possibly even trial the sandblasting with an even rougher texture. It would feel quite nice and give the keyboard a striking look whilst complimenting the matte black keys. 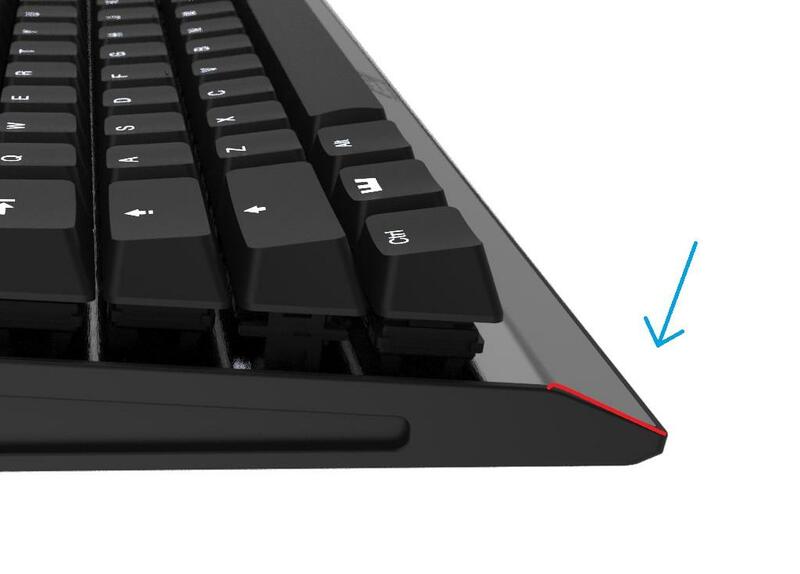 The slanted profile of the front is fine, in fact as a design idea you could have the front of the keyboard slightly (1mm) raised to create a bump (similar as to what you find on corsair vengeance keyboards albient not nearly as drastic. 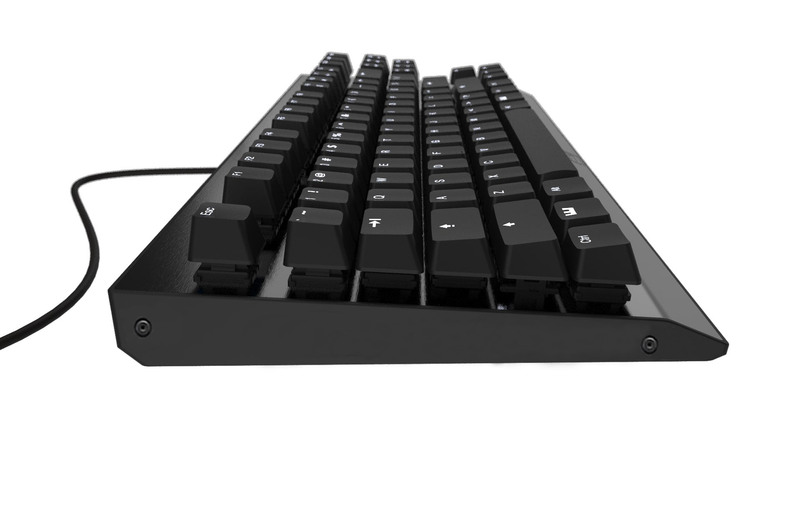 -The side profile, specifically the indents, adds more character to the keyboard but you can try to lengthen the profile over its entire side. If I may, the side profile indent makes the keyboard look slightly ‘cheap’. It bestows a plastic feel to the keyboard. 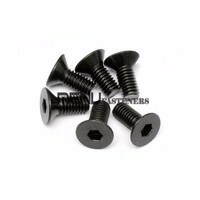 As a suggestion you could layer the keyboard and add two flat head cap screws to each side (http://sc01.alicdn.com/kf/HTB1SQKPHVXXXXaxXFXXq6xXFXXXP/Hexagon-socket-flat-countersunk-head-cap-screws.jpg_200x200.jpg) giving the keyboard a more industrial feel. Ultimately these are only my opinions and it is up to you as the creator as to what you wish your final product to look like. Sir, you are awesome. Thank you for elaborating and sharing your opinions. Let me see if I can clarify anything for you in numeric points. 1. We agree on fingerprints, and noticed this when we did the tests. Aesthetically, I’m personally afraid to go too rough on the sandblast texture because it will start to look like sandpaper. Sandblast in general definitely takes away that sleek very over feel and (what I despise) typical consumer fancy look. The extra grainy sandblasted works well on the case because it combines brushed with sandblasted, They made the grill sandblasted to give it a more industrial/rough feel/look, while softening the entire aesthetic with a very brushed casing around it. Never sure until you see the end result. It definitely does give it a more striking and unique look. Furthermore, I don’t in particularly have a problem with it but there are a group of people that “eek” when scratching over the surface with your nail. I’ll be in the factory starting May, we’ll see what’s up! 2. You’re right and I really want to make a custom wrist rest that perfectly fits with the keyboard. Problem is that it adds another project and cost. We don’t want to add it on our plate at the moment. Raising it with a bump would help with accommodating a wrist rest but if we make something custom, I’d rather see something new and cool, that exactly fits over the slanted front into a wrist rest, connected by magnet (aluminum doesn’t magnetize but we could provide small magnet stickers for on the inside or something and also offer a metal plate version). God talking about it really makes me itch from inside to start making it!!! Maybe make some CNC aluminum mockups or something…. stick on a foam layer or something. godddd! Since I’m talking about this topic anyway. We want to add a wrist rest option for pre-order but we can only offer a simple foam pad in TKL size without making any commitments/high investments. Questions: Is it worth adding? 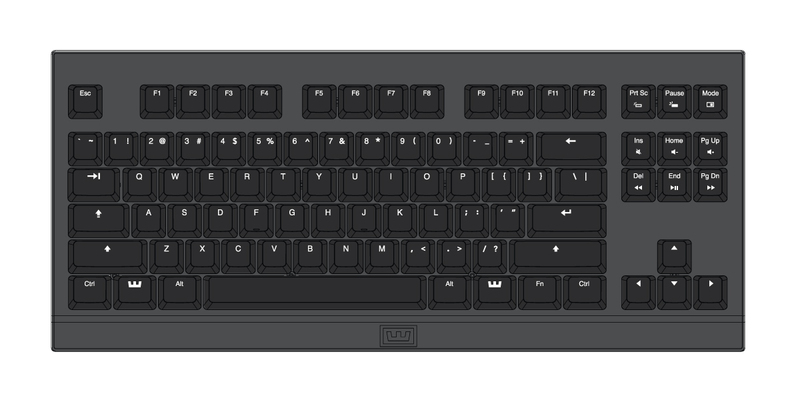 That was our first (rough) design of the keyboard , had more the industrial look. After several iterations, it changed. I really like how you’ve taken the time to illustrate your ideas. Really appreciate it and feel it really gives a better idea what you’d look for. The suggested changes are a bit too major at this stage. We’ve also had to confirm the entire design for final prototype and it’s under construction. Any plans for numpad? I use that way to often. Maybe a separate USB add-on device that can daisy chain from the keyboard? 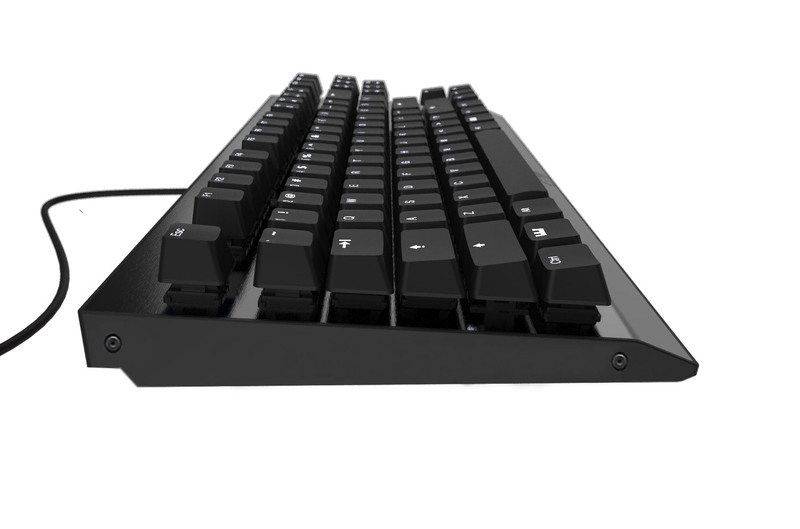 This keyboard has to have a number pad, many games use them and it’s a necessity for work, I’m not going to have two keyboards on my desk for work and play. You’re not alone. The numpad version will be a follow-up as we can’t afford the resources right now. The extra numpad keys complicate the design, make the entry price higher and we want to make sure we make a good full-size (numpad) version. Hope that makes sense. Thanks. Tai-Hao keycaps are notoriously bad. got plans for a split curved keyboard with thumb keys? No plans for that yet, sorry. Those keycaps are red-hot on MD and hundreds if not thousands of people want them! I’ll take a look if Vortex is reachable and make a visit for a talk. I want to build an “optical” keyboard with no metal in it expect at the far end of a fiber-optic cable; this is so it can be used inside a medical imaging device with high magnetic fields. Is there a version of your keyboard that can be made to work in this way? If there is a good user-functionality for the medical industry, then you welcome to send us an email with some thoughts. Thanks.